When I found these keys/seeds, technically samaras, I had no idea what current events they represent. The samaras are from an ash tree. 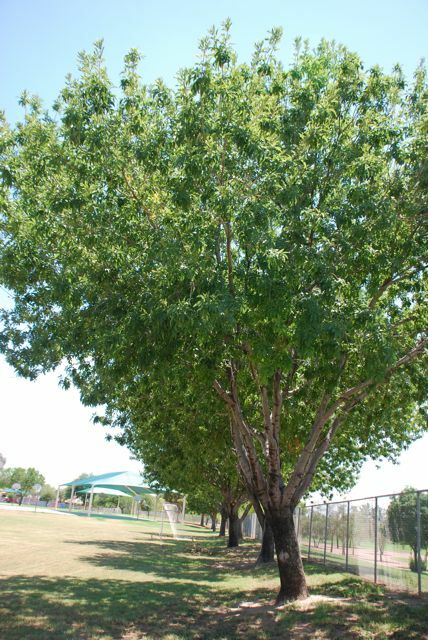 Several different species of ash trees grow in Arizona, all in the genus Fraxinus. Ash trees are prized for their wood. In fact, ash wood is used for baseball bats. 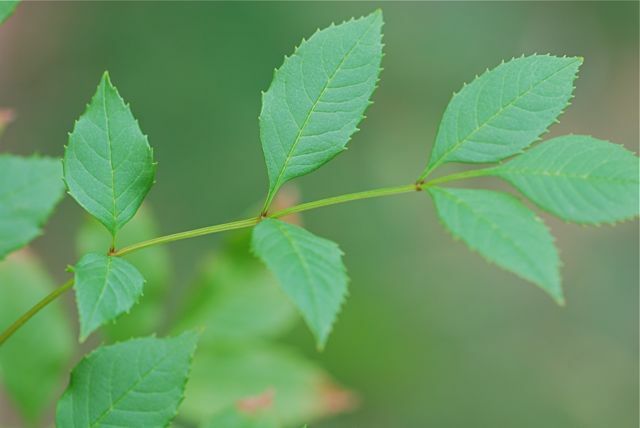 Ash tree leaves are pinnate compound, which means they are made up of leaflets. The leaves themselves are opposite each other, forming a V-shape with the main branch. 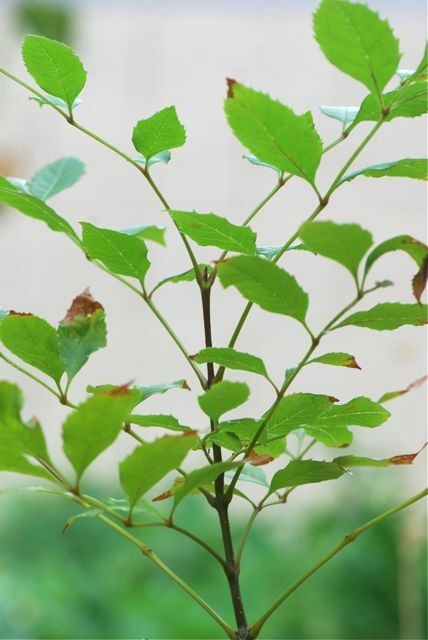 If you aren't sure whether you have an ash tree, try this Ash Identification page. 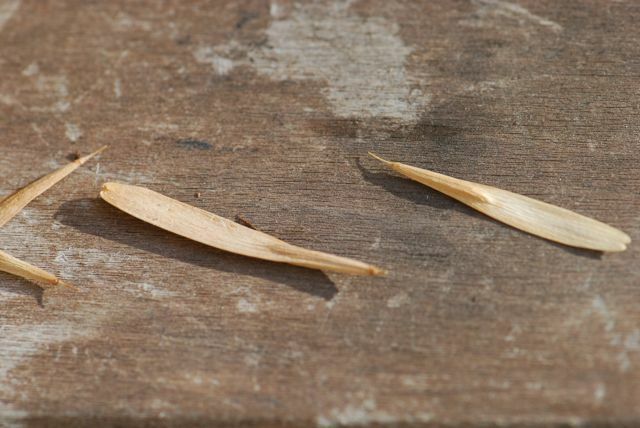 The reason ash trees are in the news is because in certain regions they are being attacked by an insect. The emerald ash borer arrived in Michigan in 2002 and has been spreading and killing trees ever since. Although the adult beetles are lovely, the larvae or grubs feeding on the trees under the bark is fatal to the tree. People are concerned that the ash trees will experience a similar devastation as occurred with the chestnut trees and elm trees in the past. In fact there is now a great effort being put into saving seeds of the remaining ash trees in the regions effected. 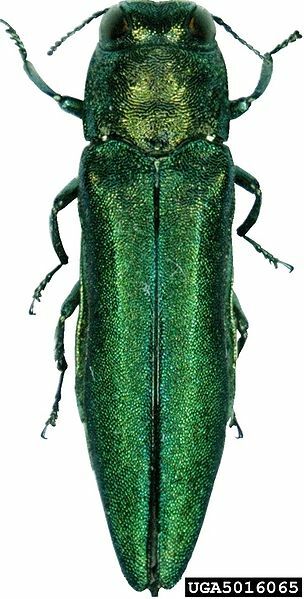 The emerald ash tree borer website has more information about the beetle and its spread. The main thing they are asking people to do is not to move ash tree firewood from place to place, as that moves the beetle larvae that live inside the wood. We are going to plant some of the ash samaras we found. Sounds like ash trees could use all the help they can get. 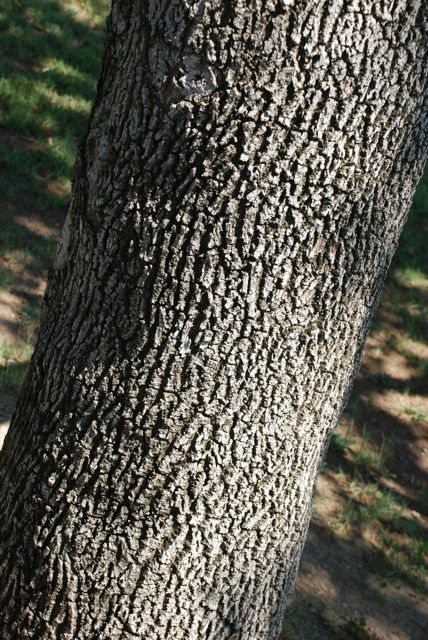 What kind of ash trees grow where you live? Thanks for sharing this information. I'm not familiar with Ash trees. Your post and the link to identifying Ash trees is going to be very helpful as I'm looking for them.